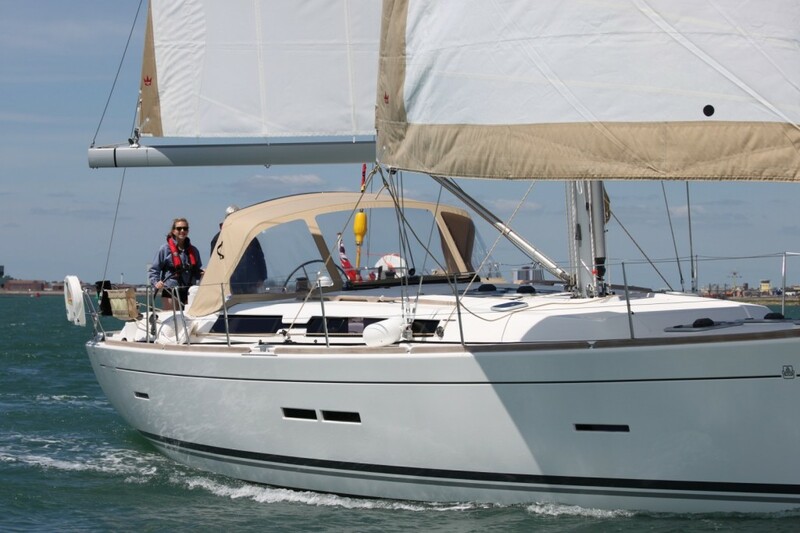 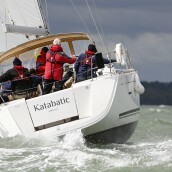 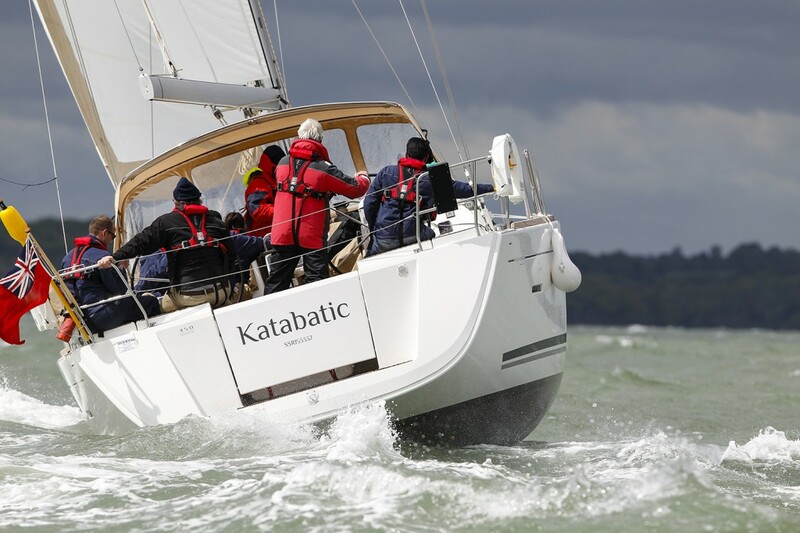 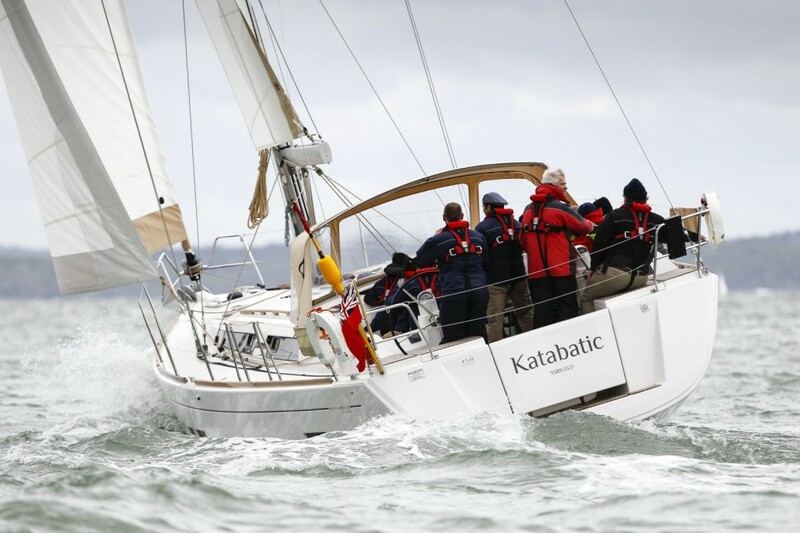 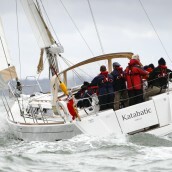 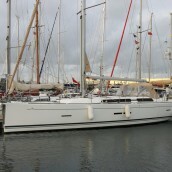 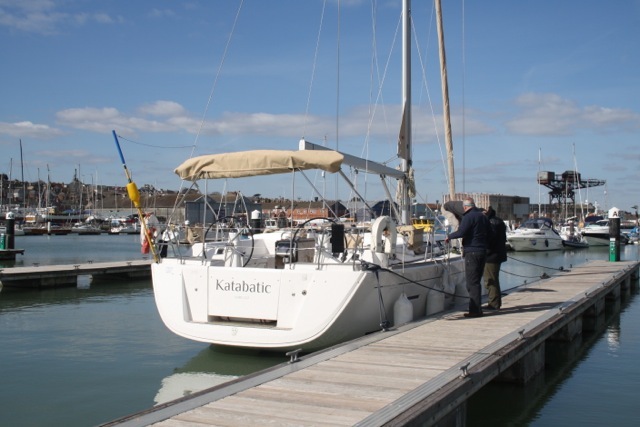 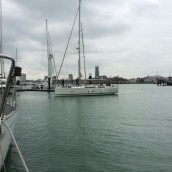 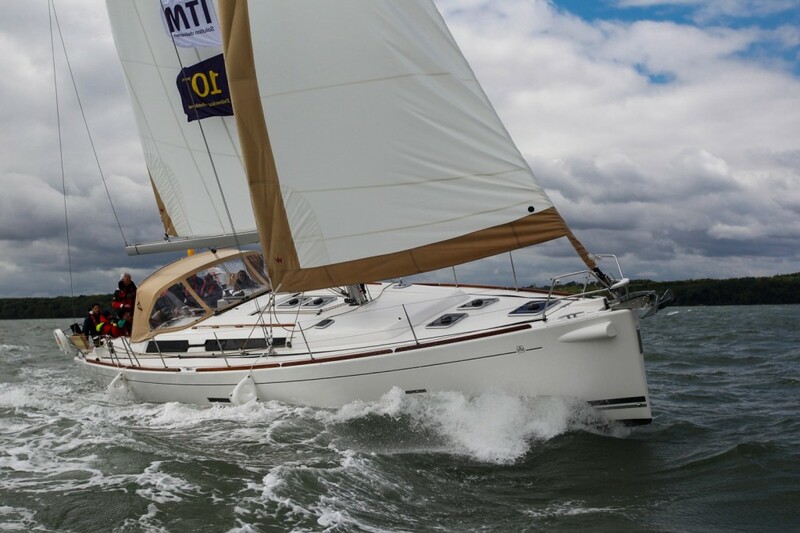 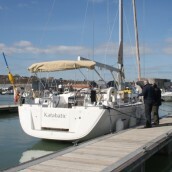 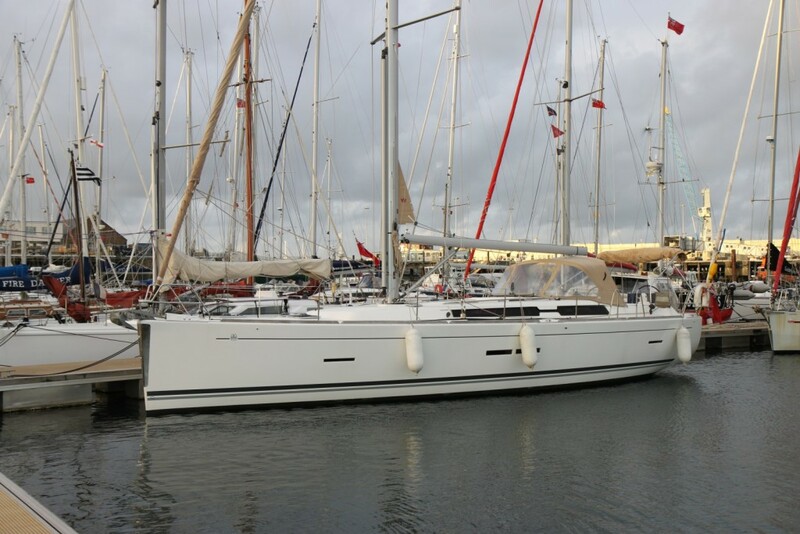 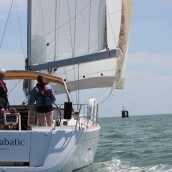 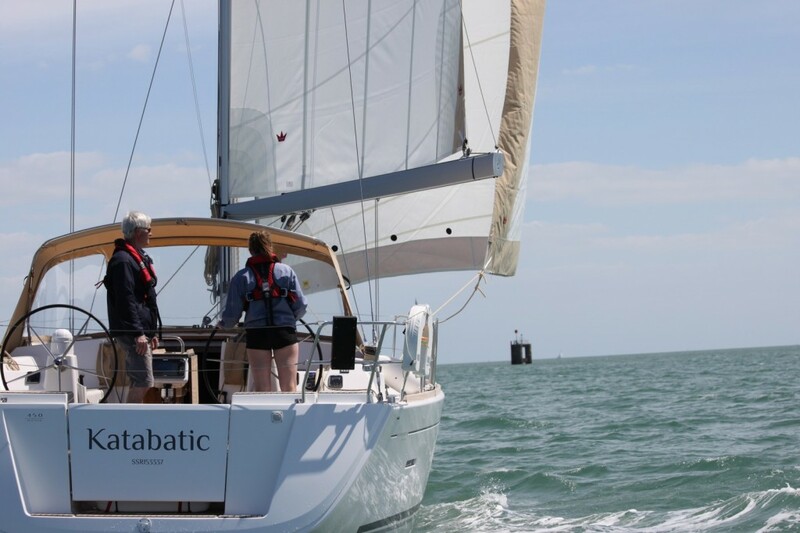 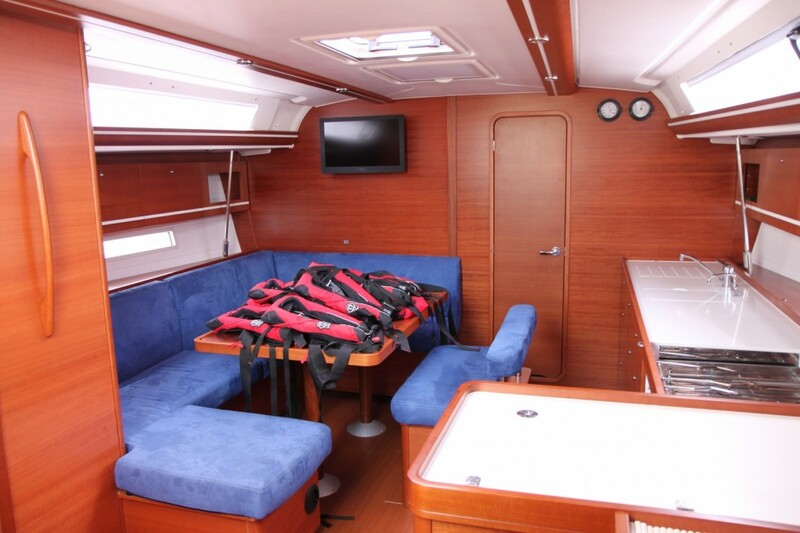 Katabatic is a stunning Dufour 450, launched in 2013. 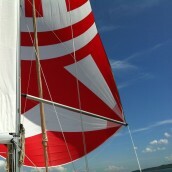 She sails beautifully and is easy to handle. 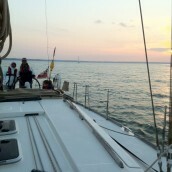 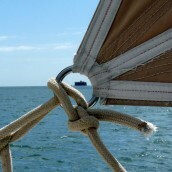 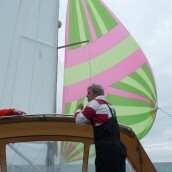 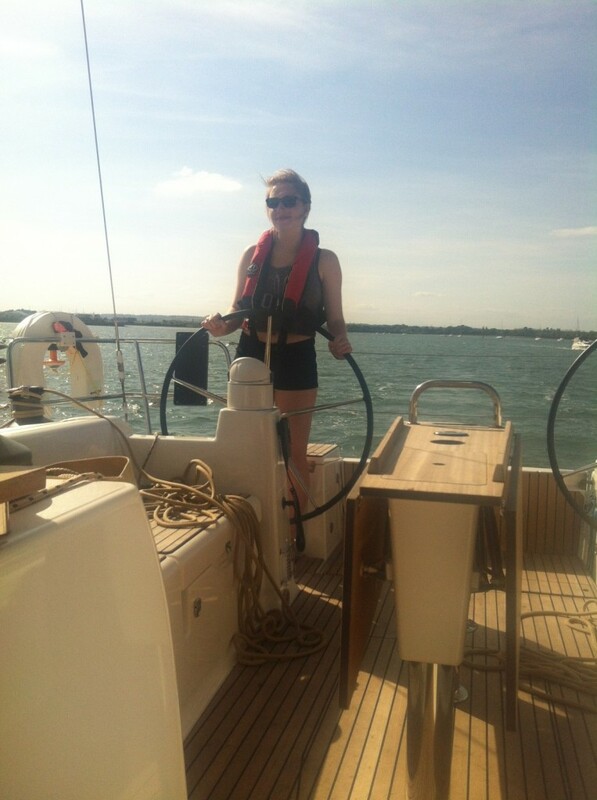 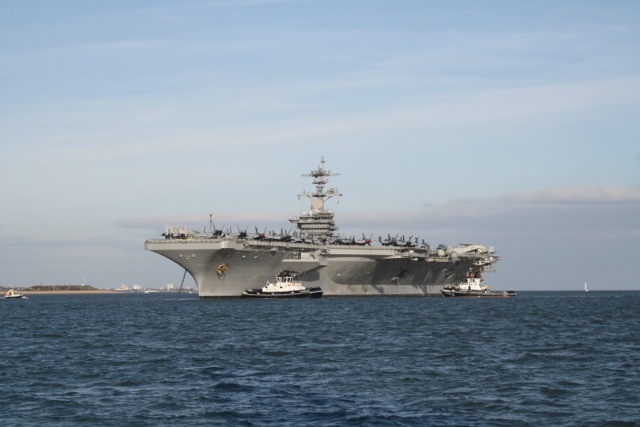 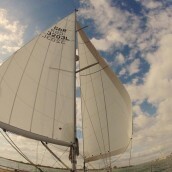 See how smoothly she sails! 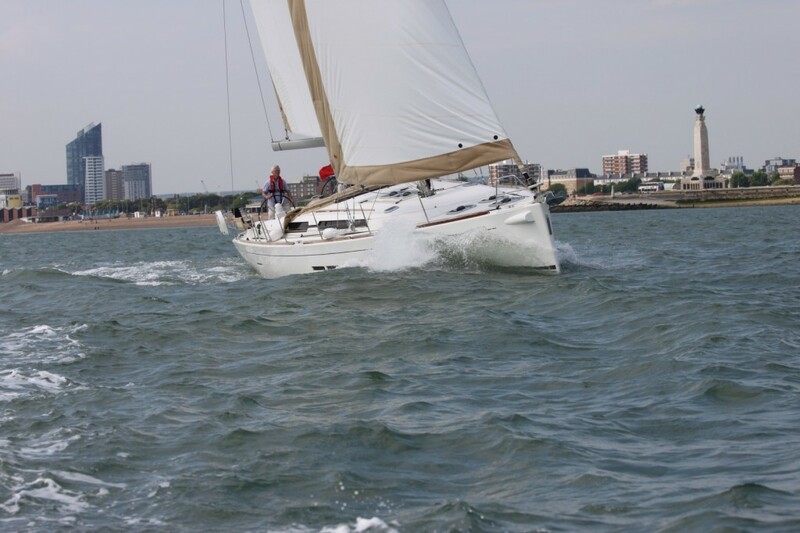 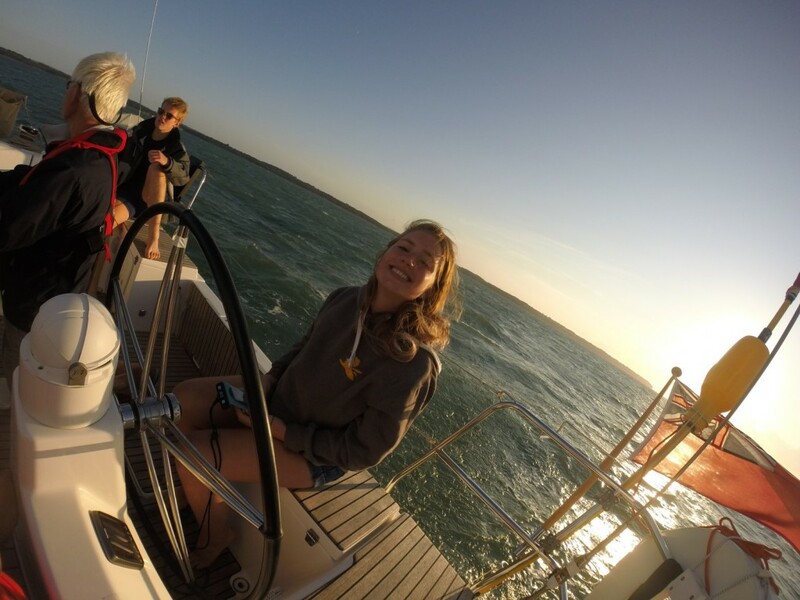 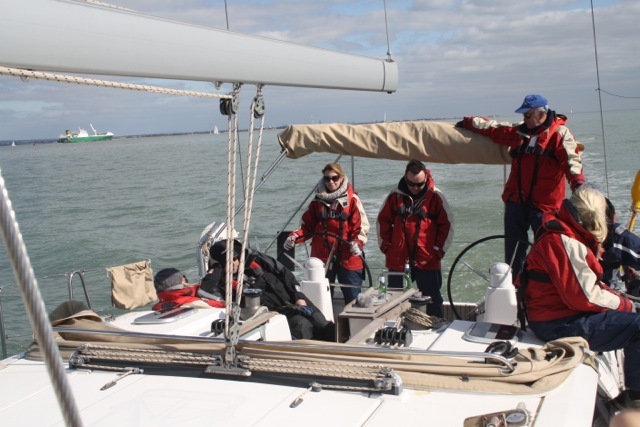 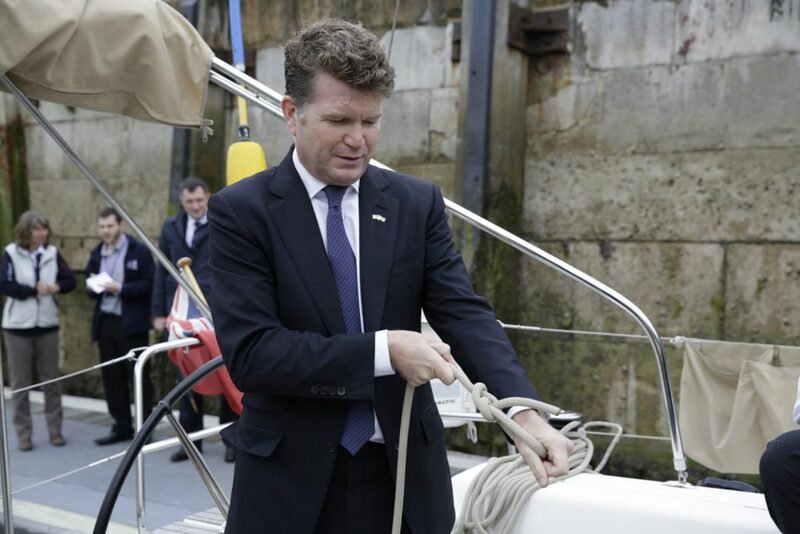 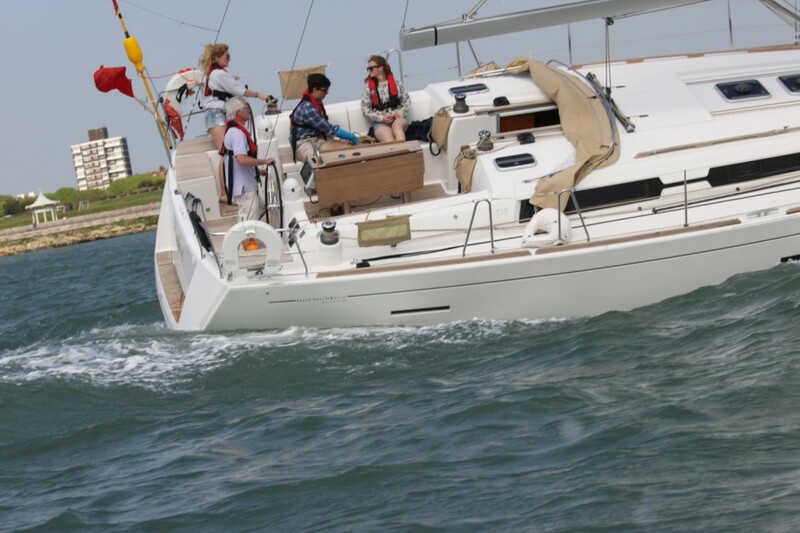 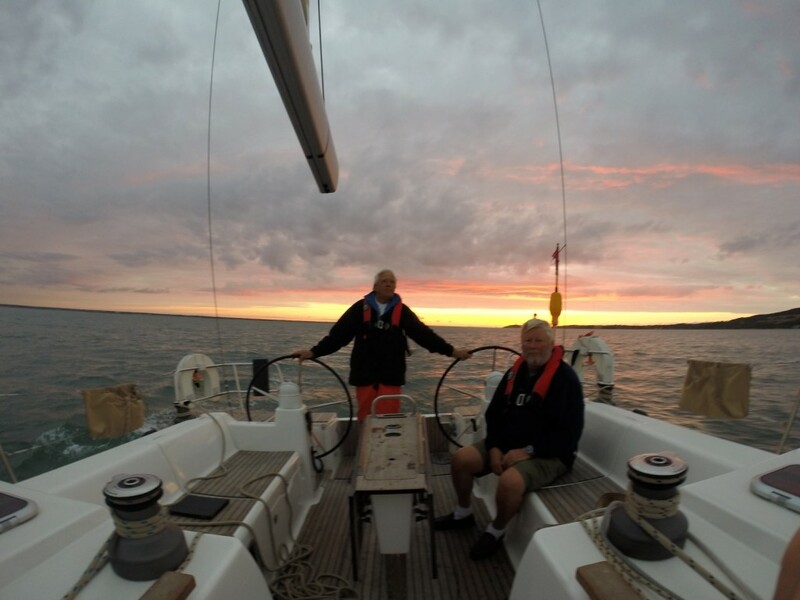 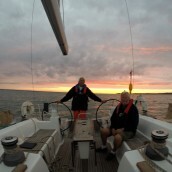 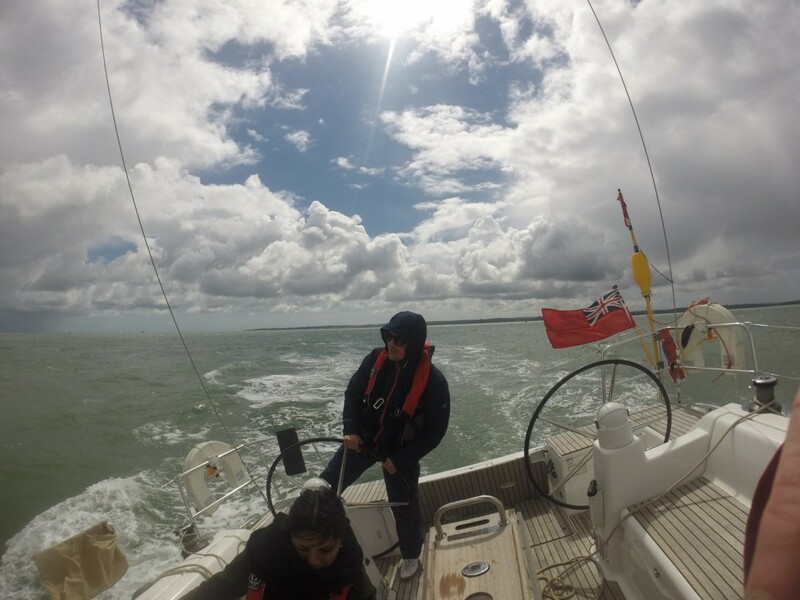 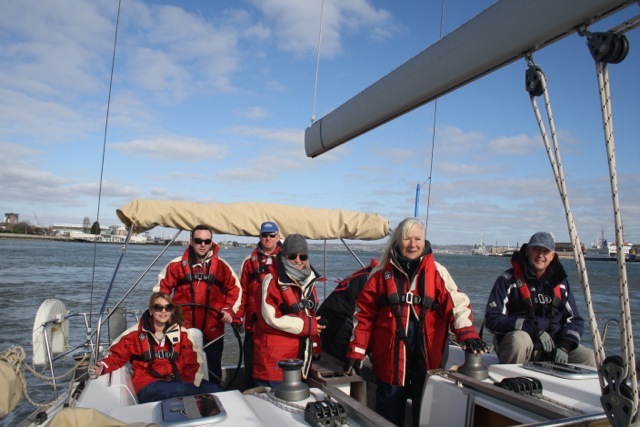 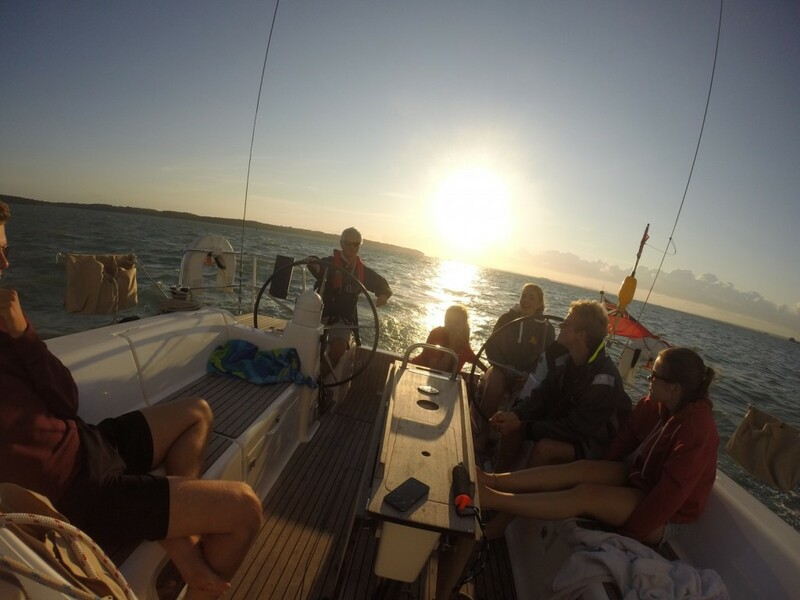 Skippered charters are ideal for less experienced crew, those lacking recognised qualifications or for people who would like to charter a yacht with the benefit of having a skipper take responsibility. 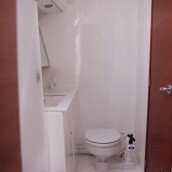 Single day rate applies to Monday – Thursday only. 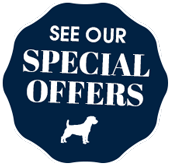 Please contact us if you require single days over the weekend. 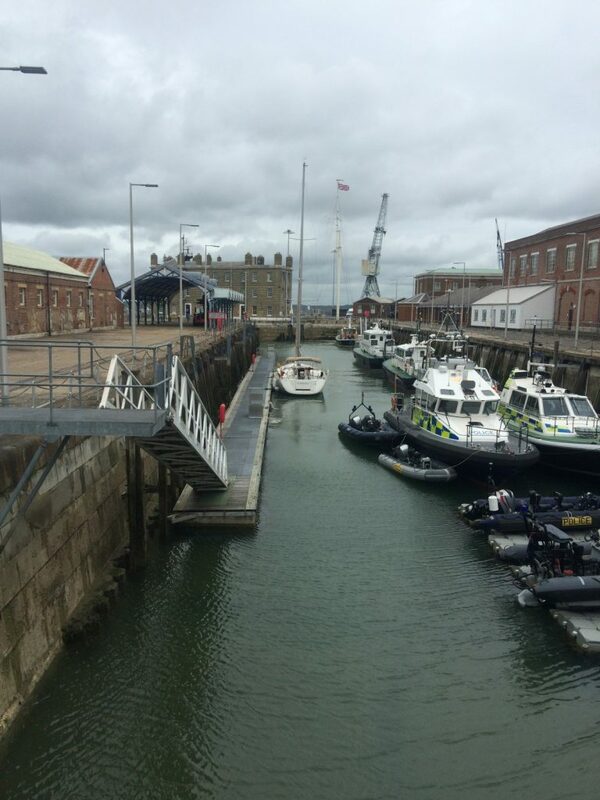 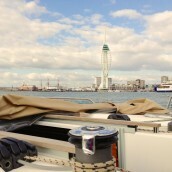 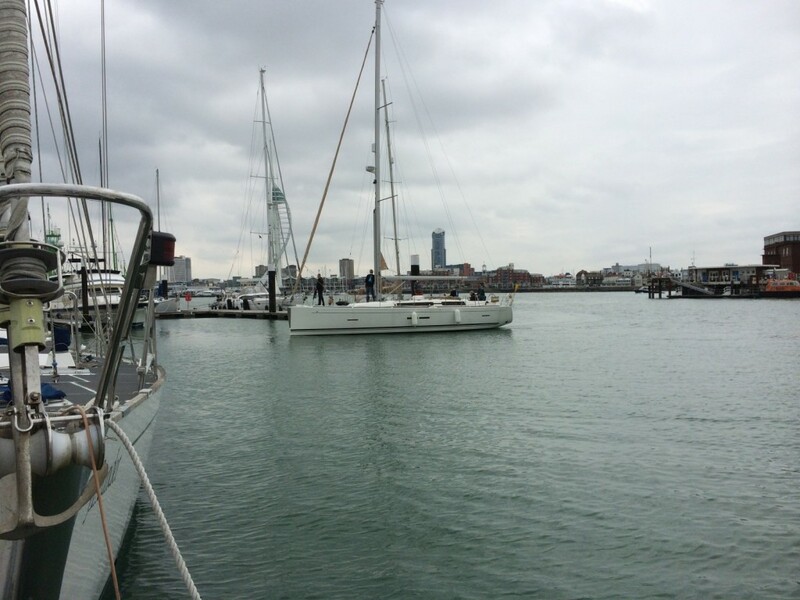 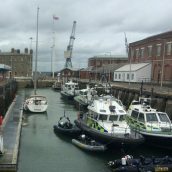 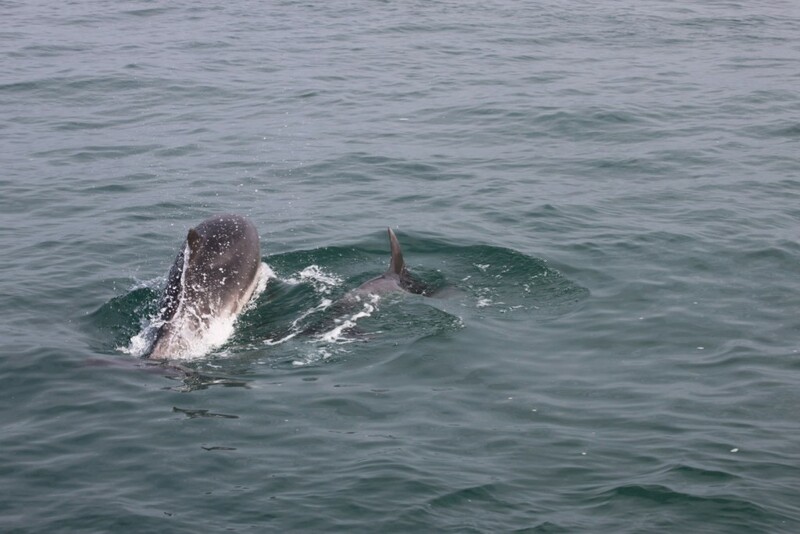 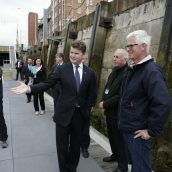 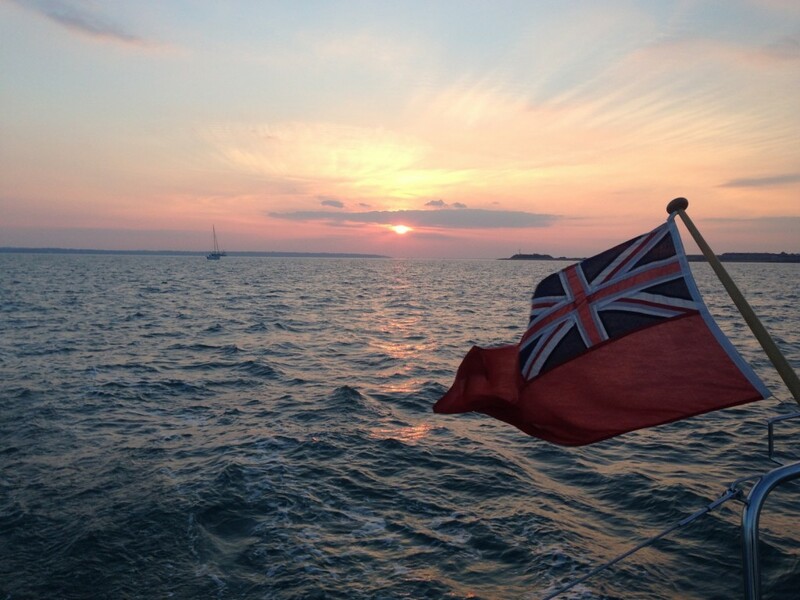 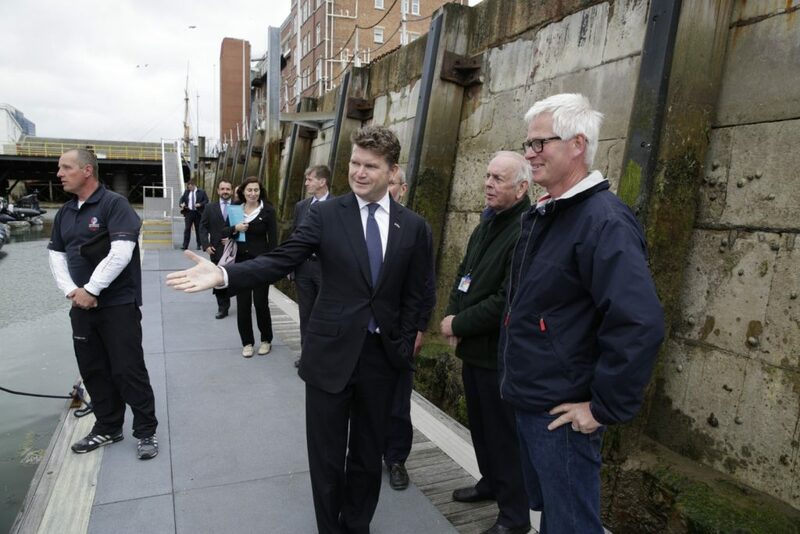 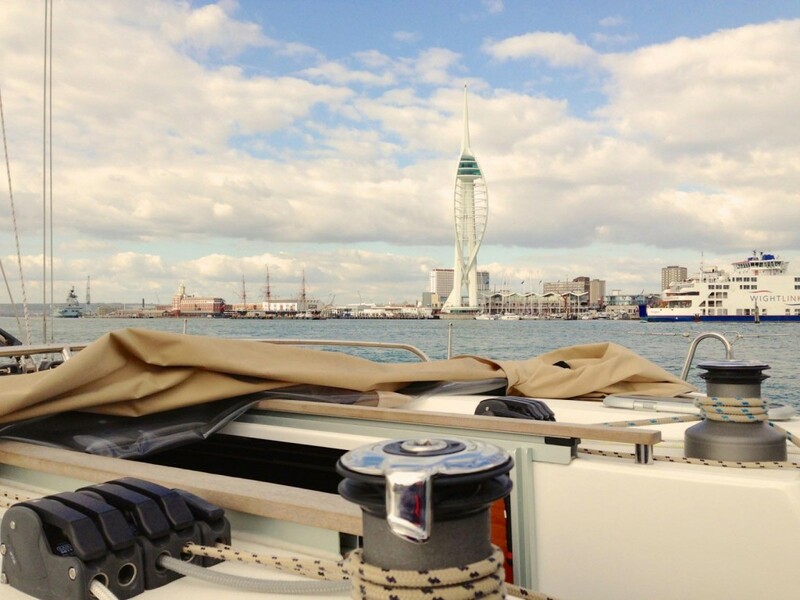 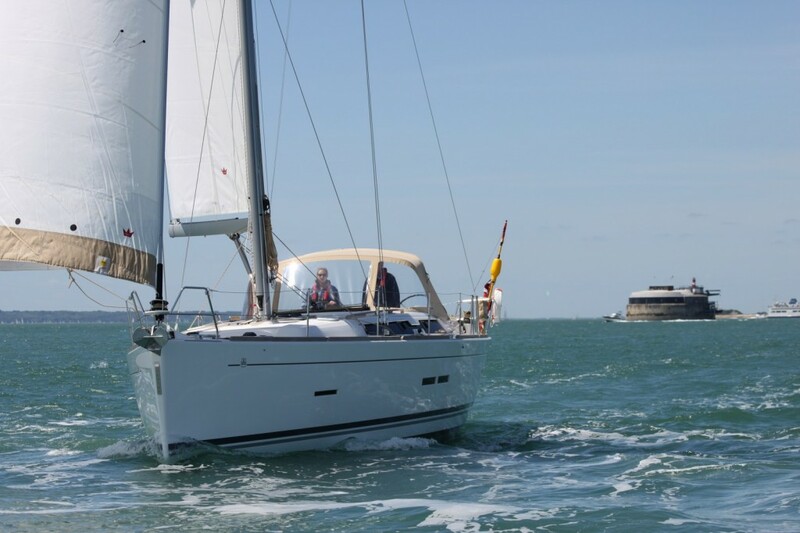 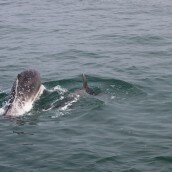 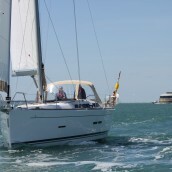 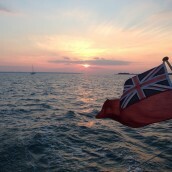 Look at all the places that you can visit in a day on your yacht charter in the Solent. 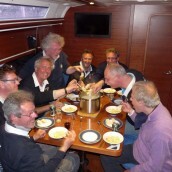 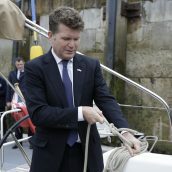 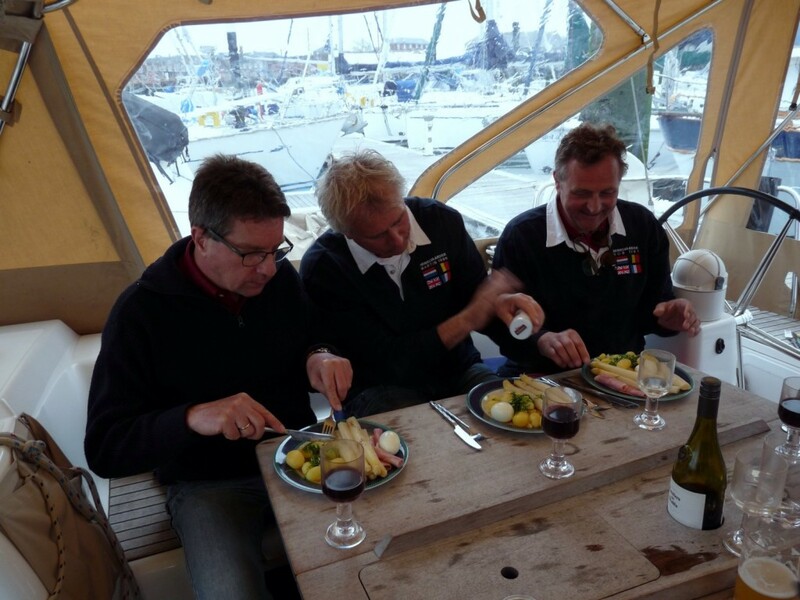 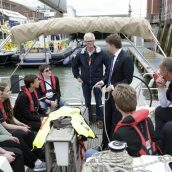 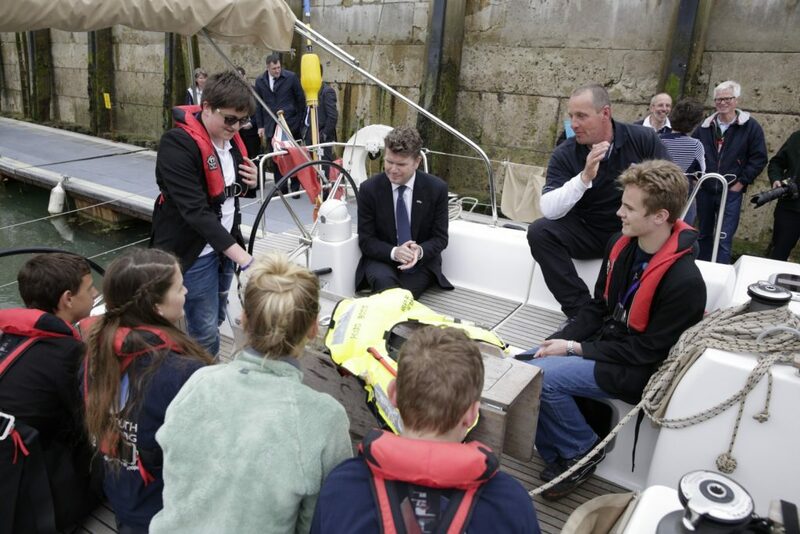 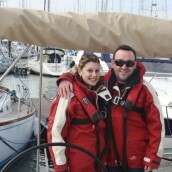 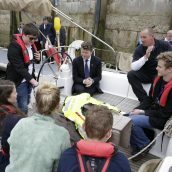 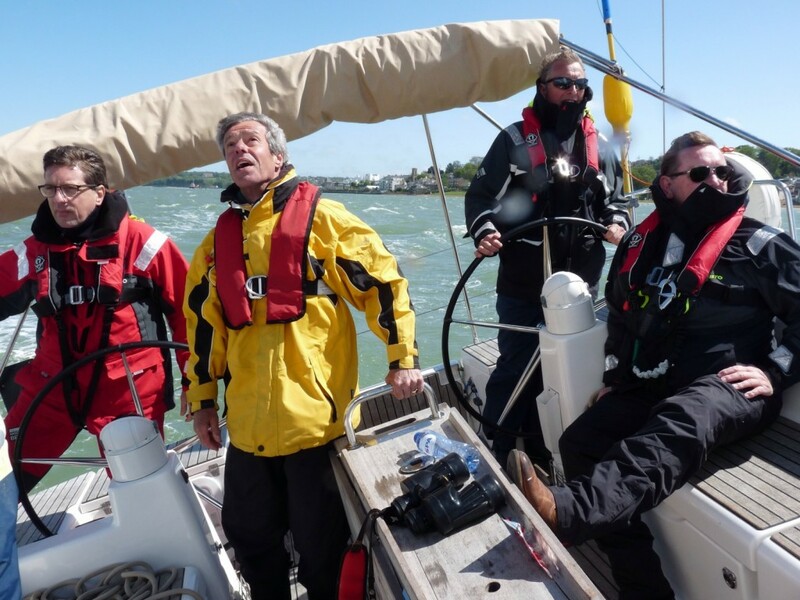 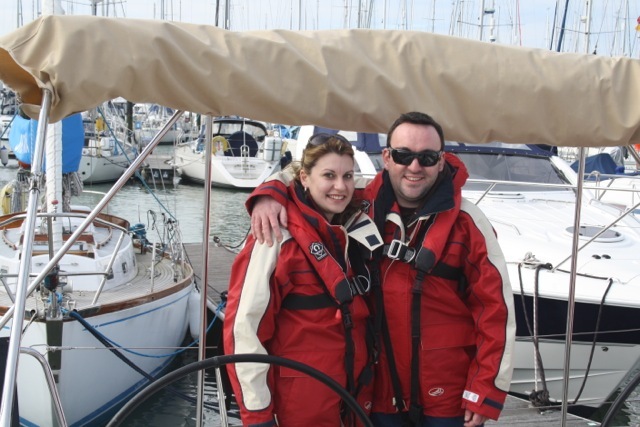 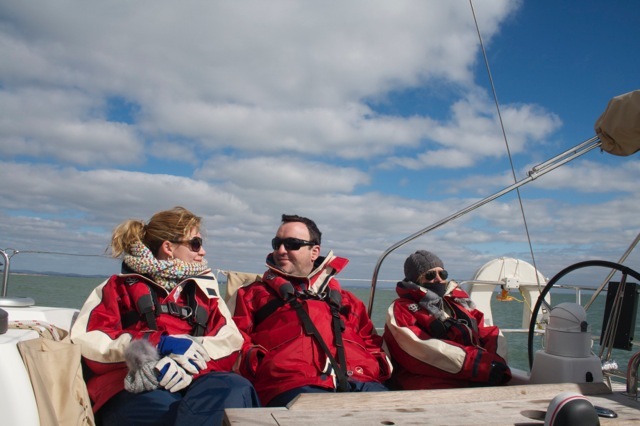 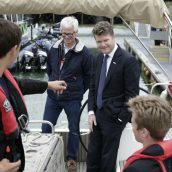 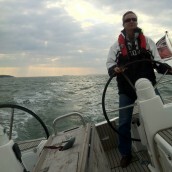 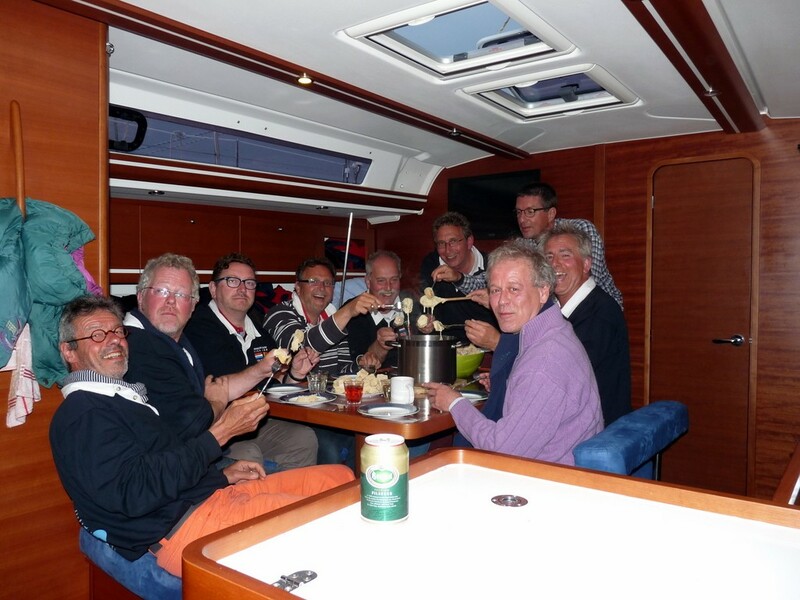 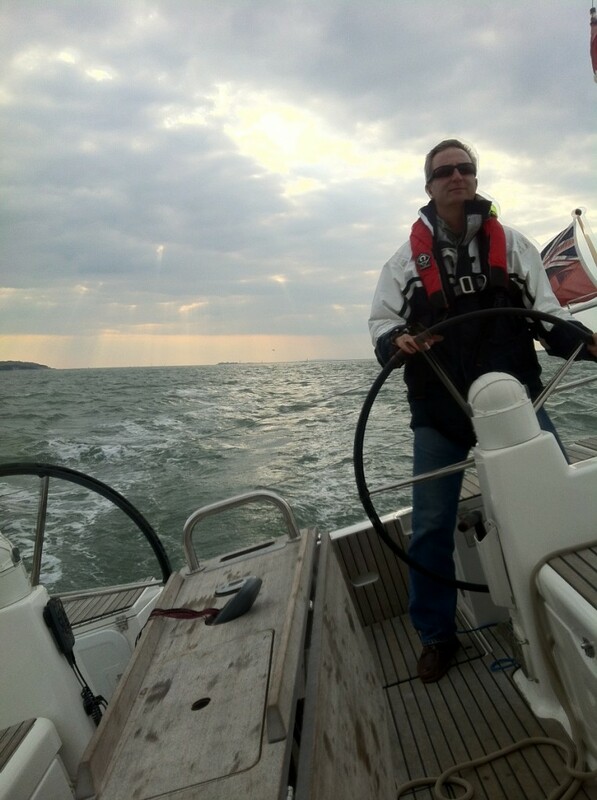 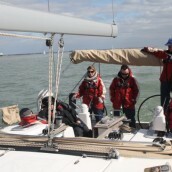 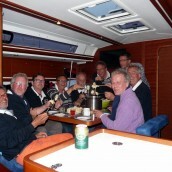 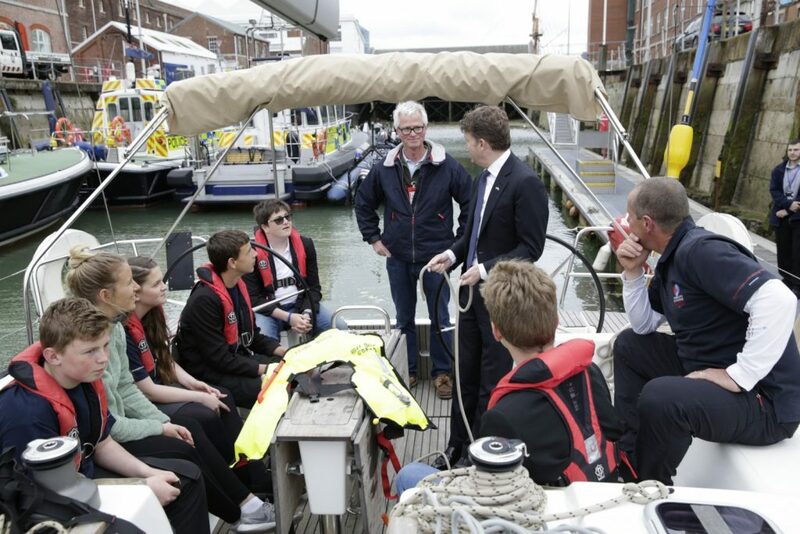 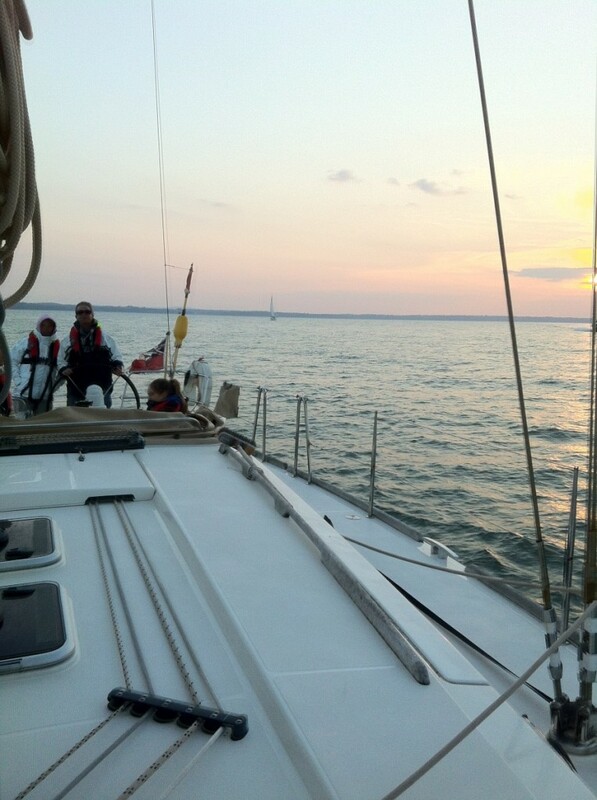 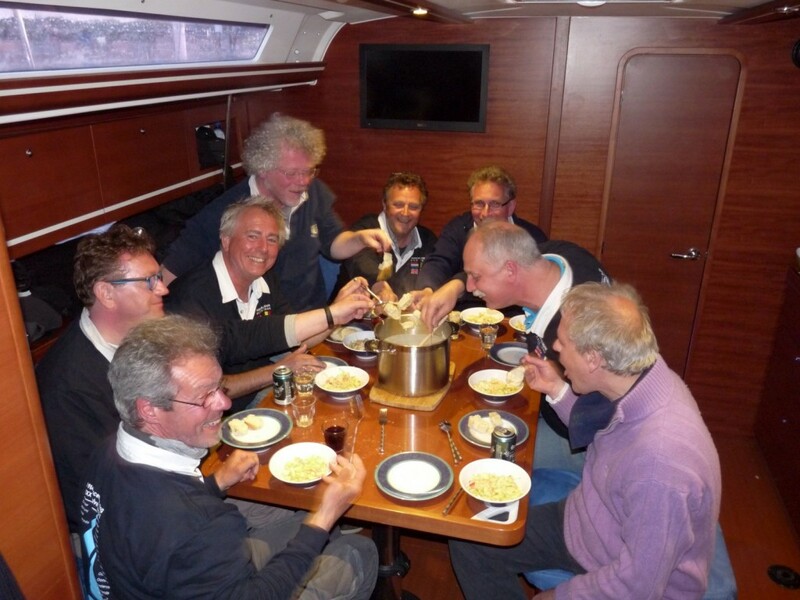 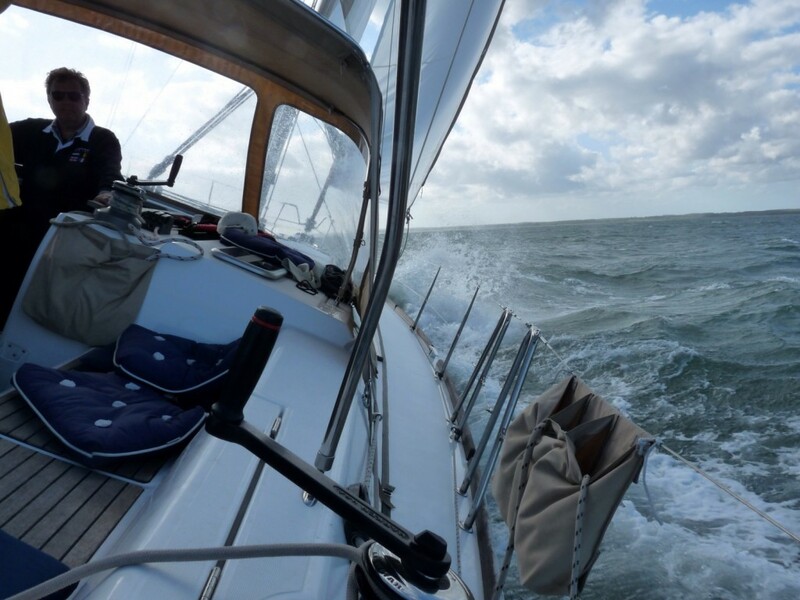 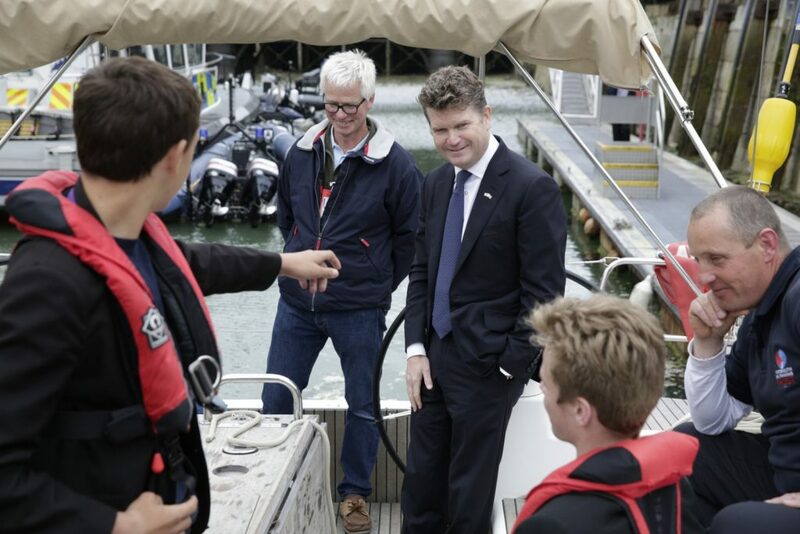 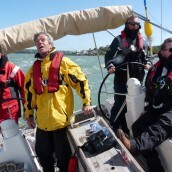 With a commercially endorsed, qualified Yachtmaster cost an additional £140 per day. 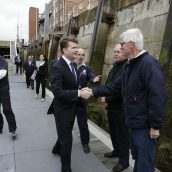 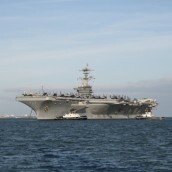 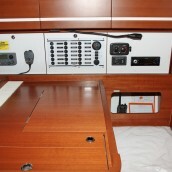 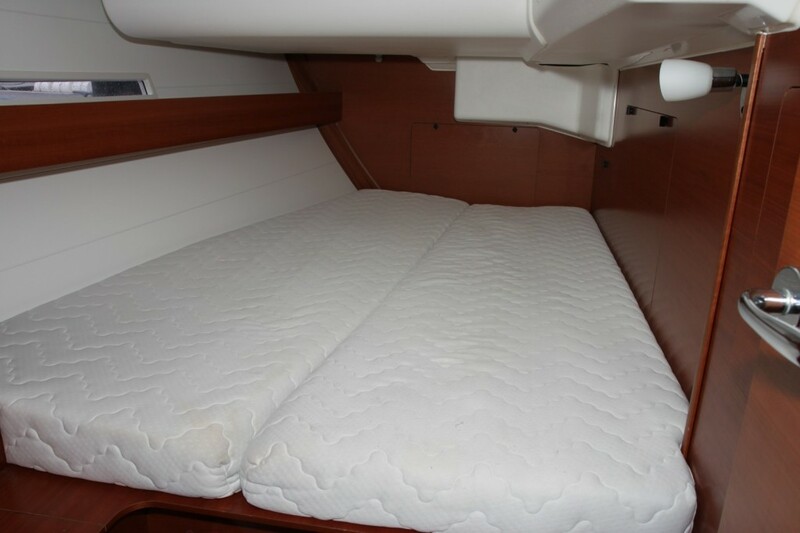 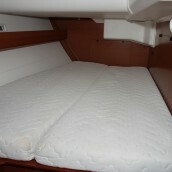 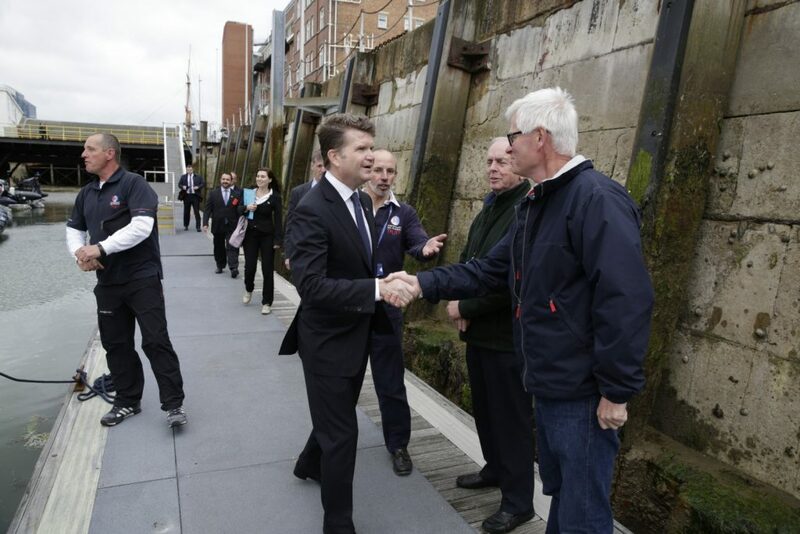 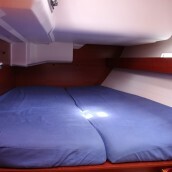 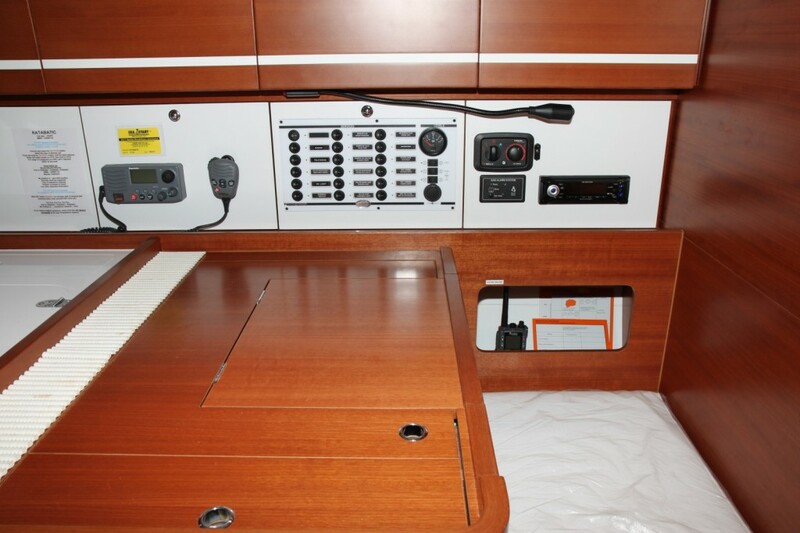 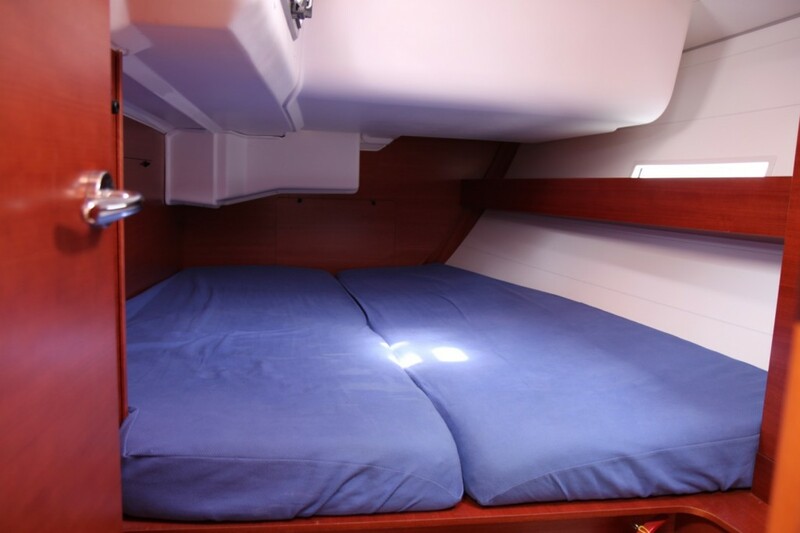 For overnight or longer cruises, please remember that the skipper requires a cabin. 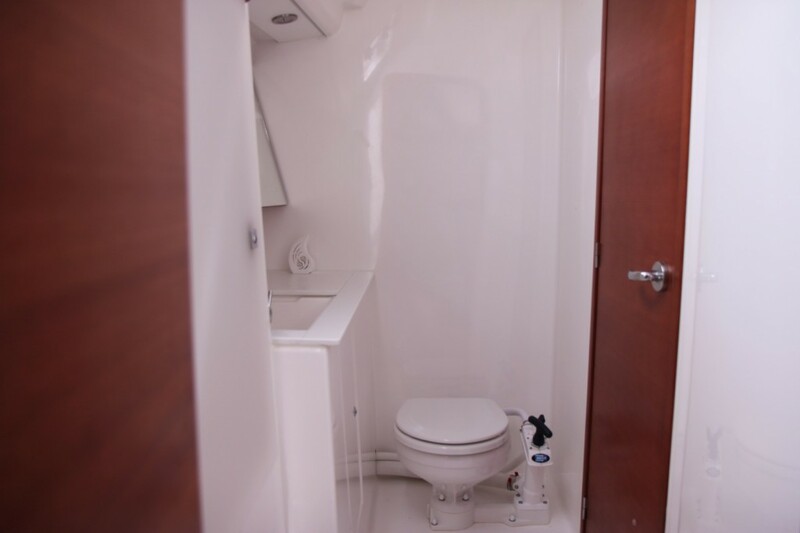 Is this for someone special? 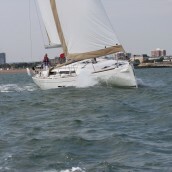 or just a nice treat? 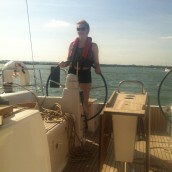 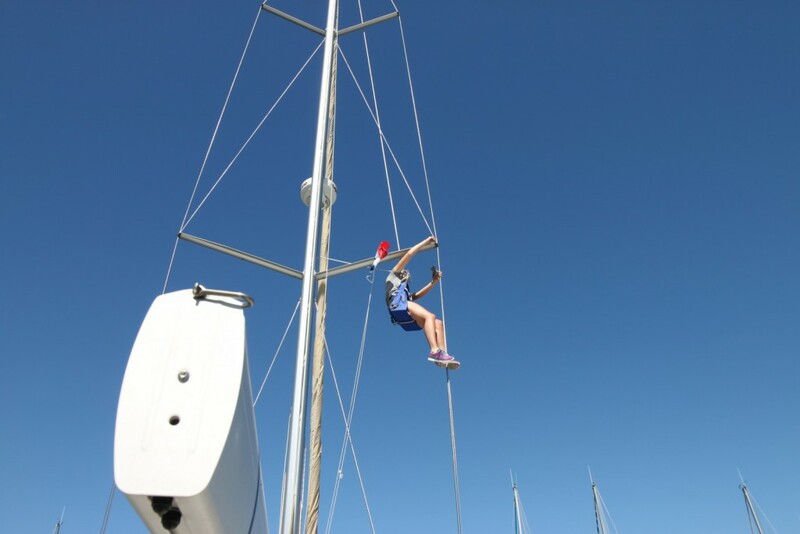 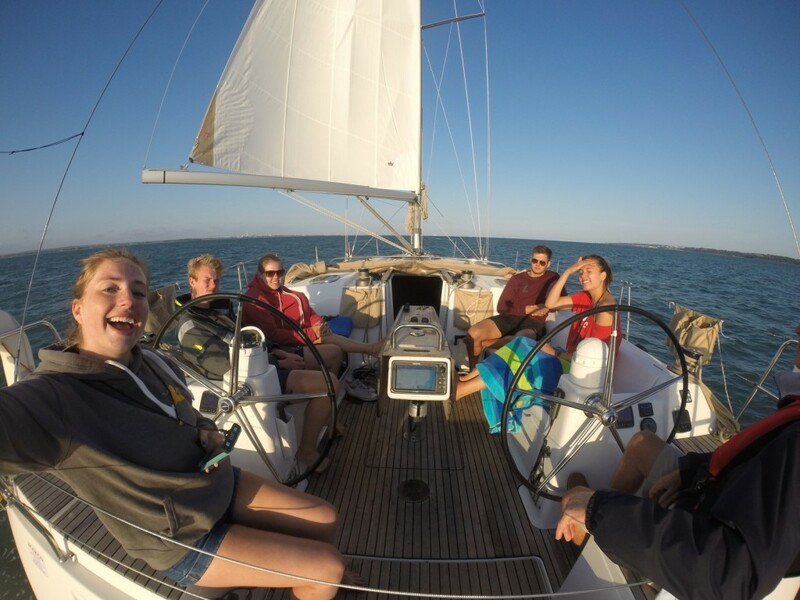 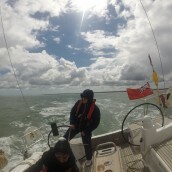 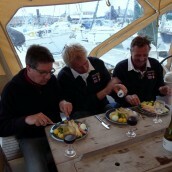 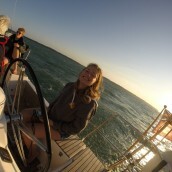 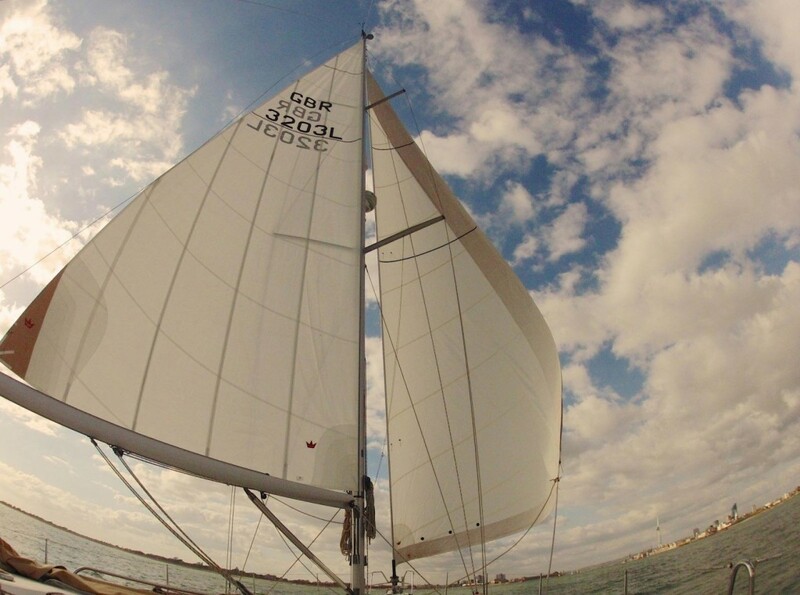 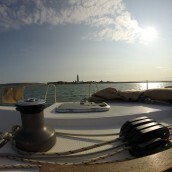 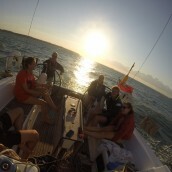 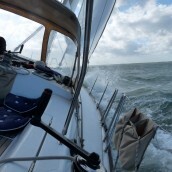 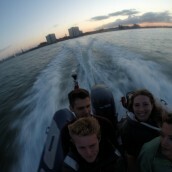 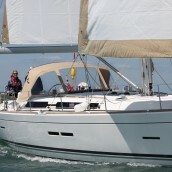 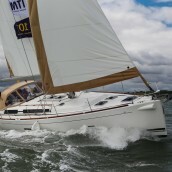 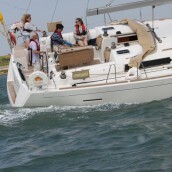 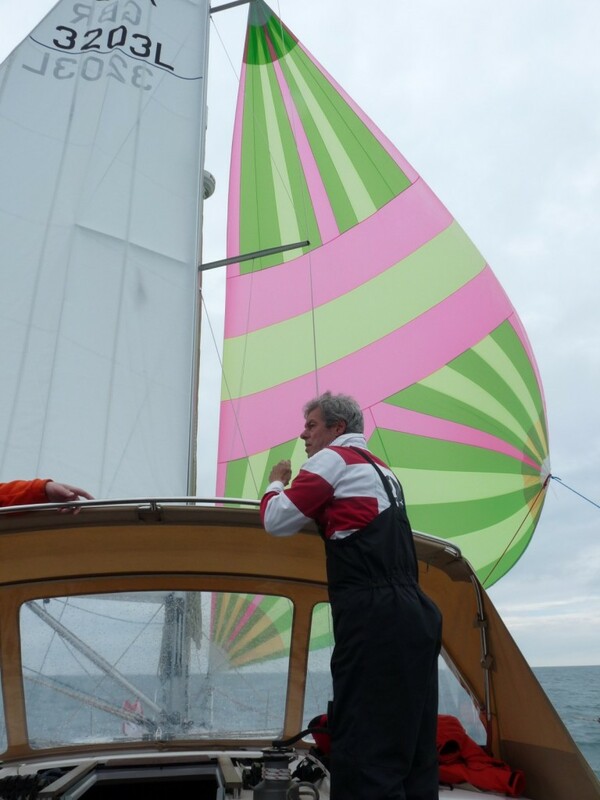 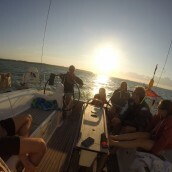 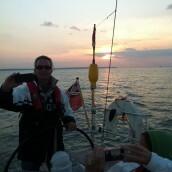 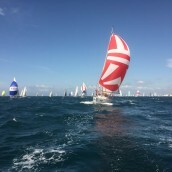 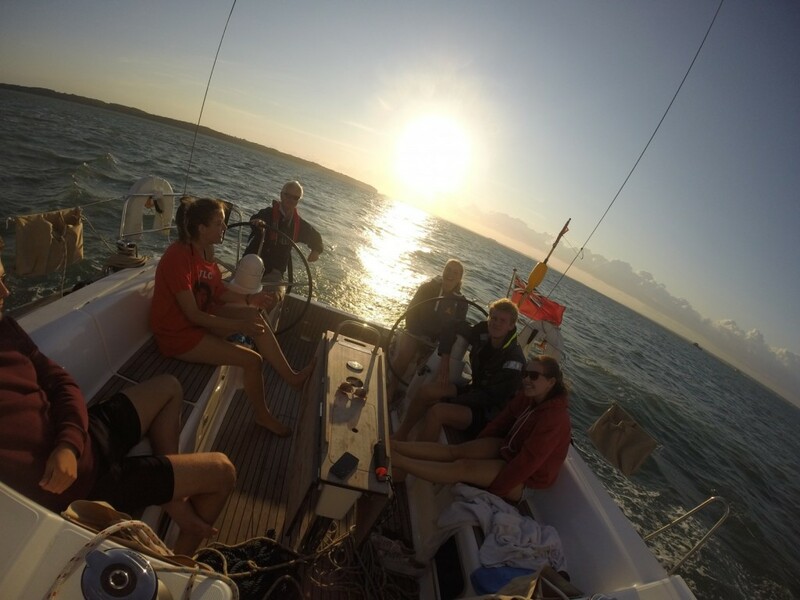 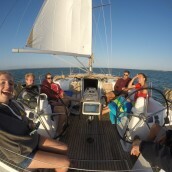 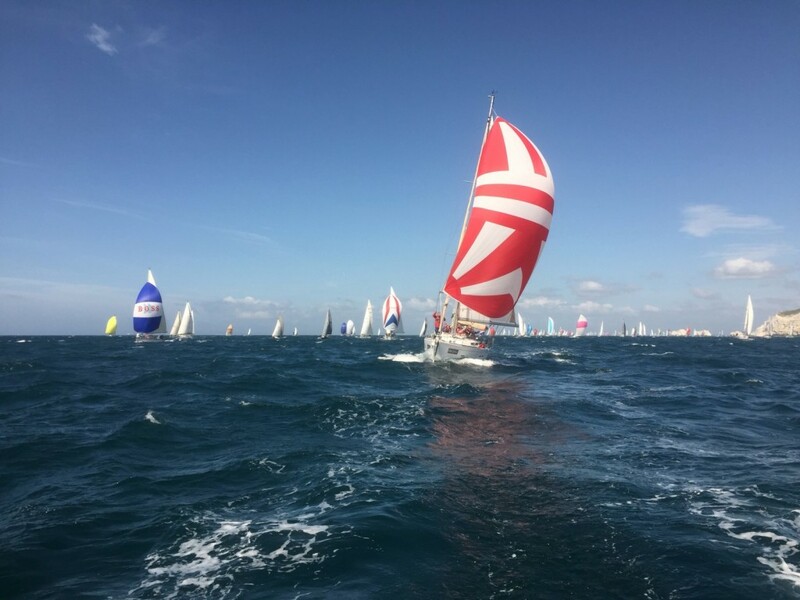 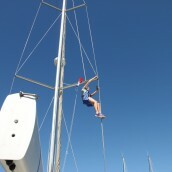 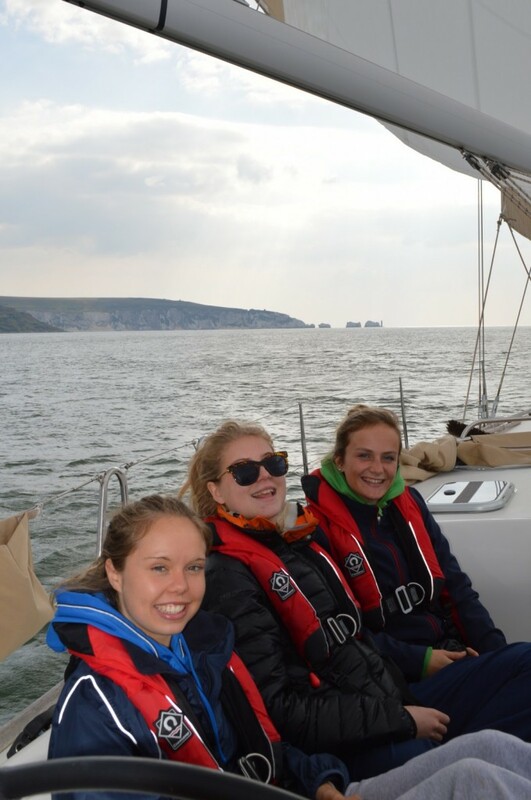 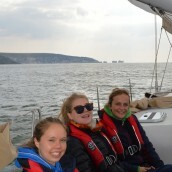 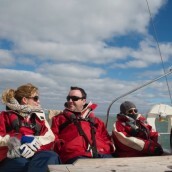 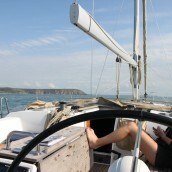 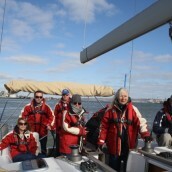 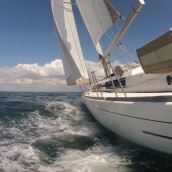 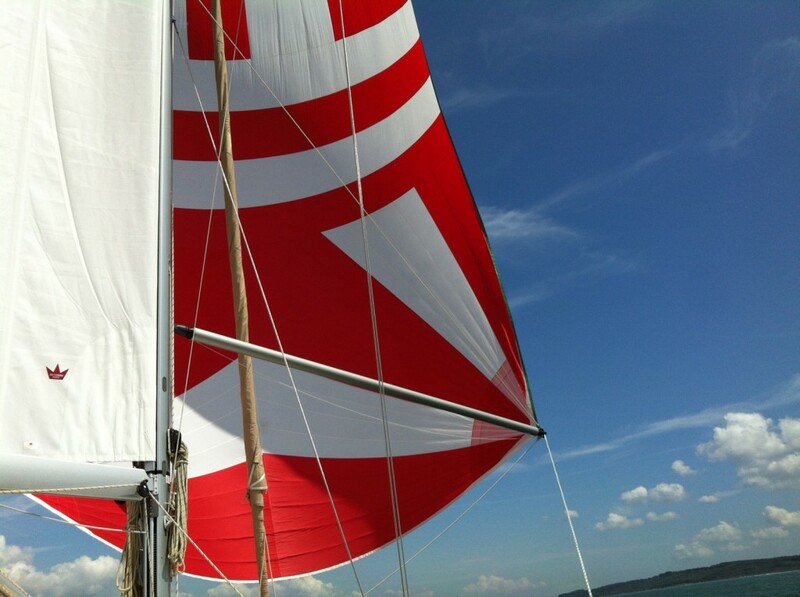 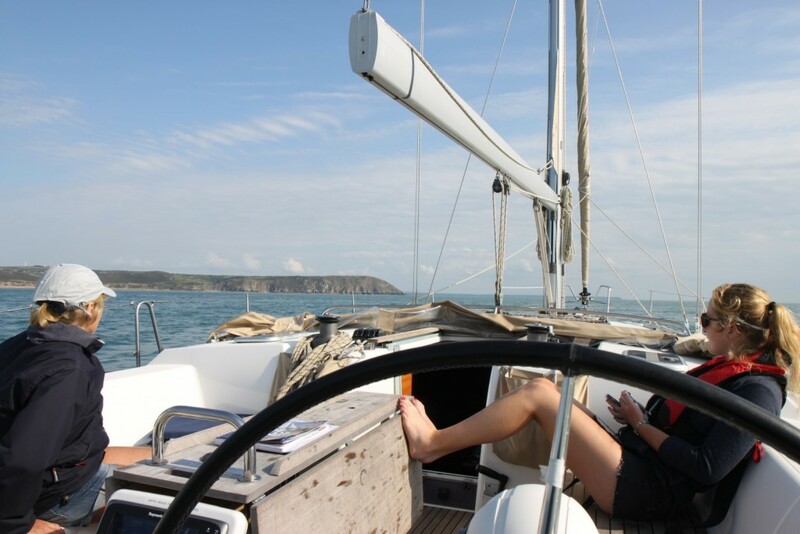 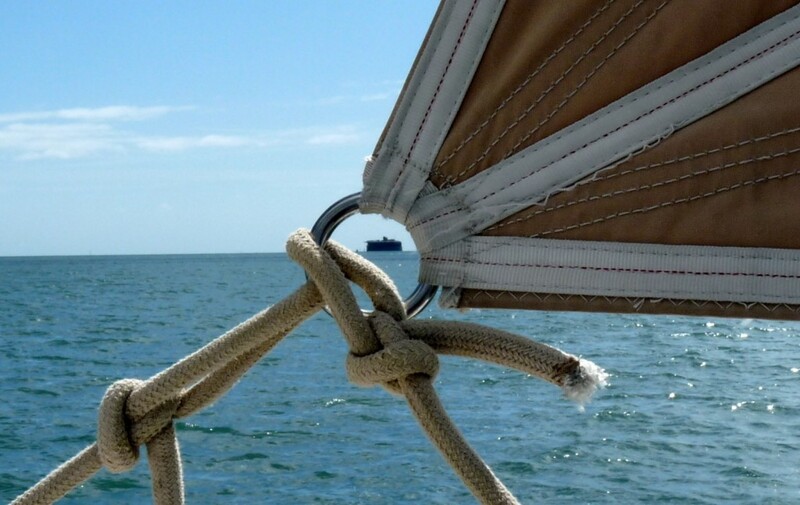 Salty Dog specialise in providing tailored sailing experiences… from as little as £60 per person. 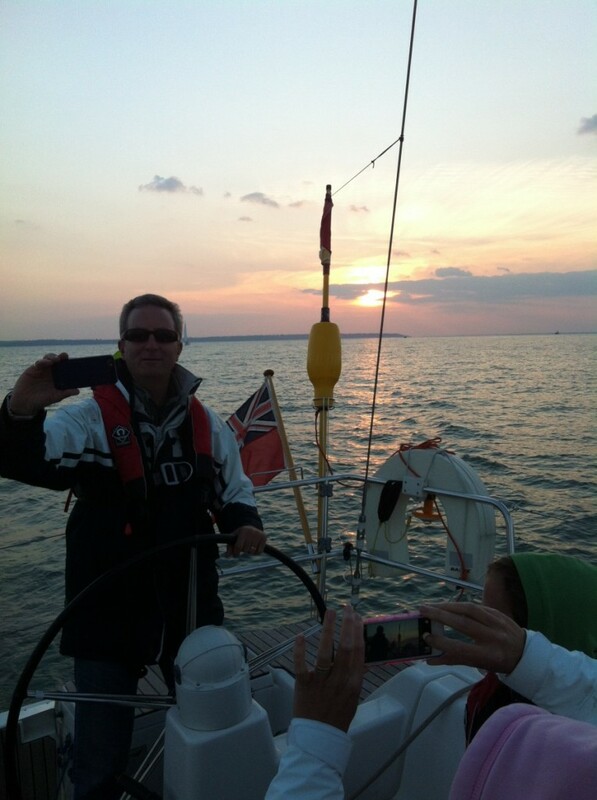 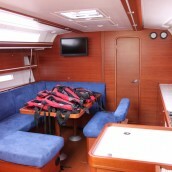 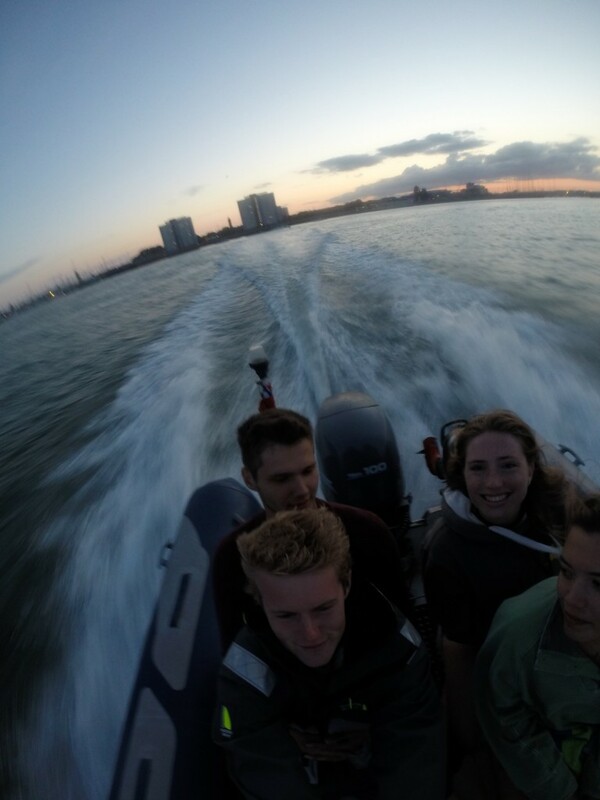 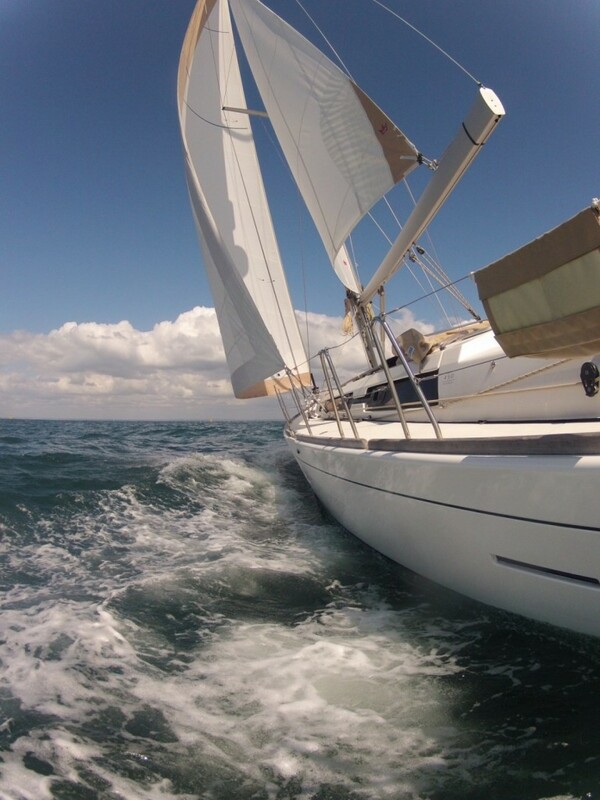 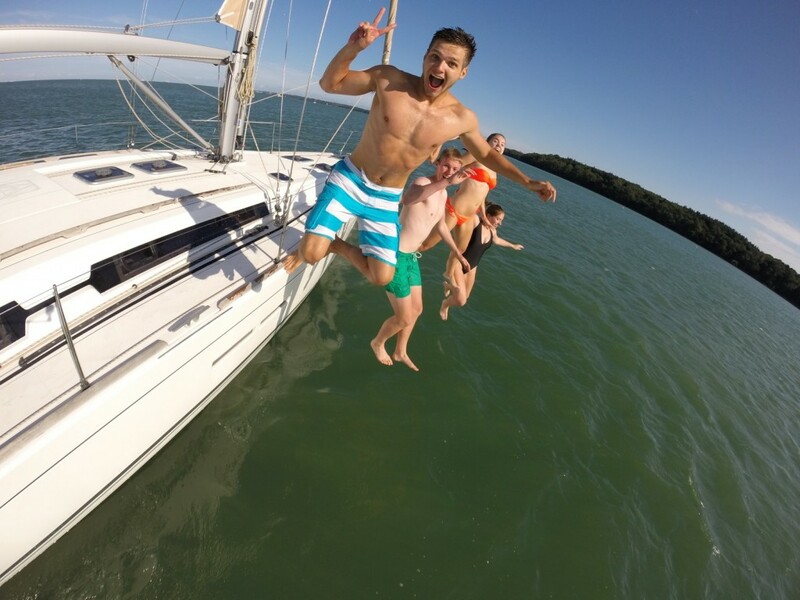 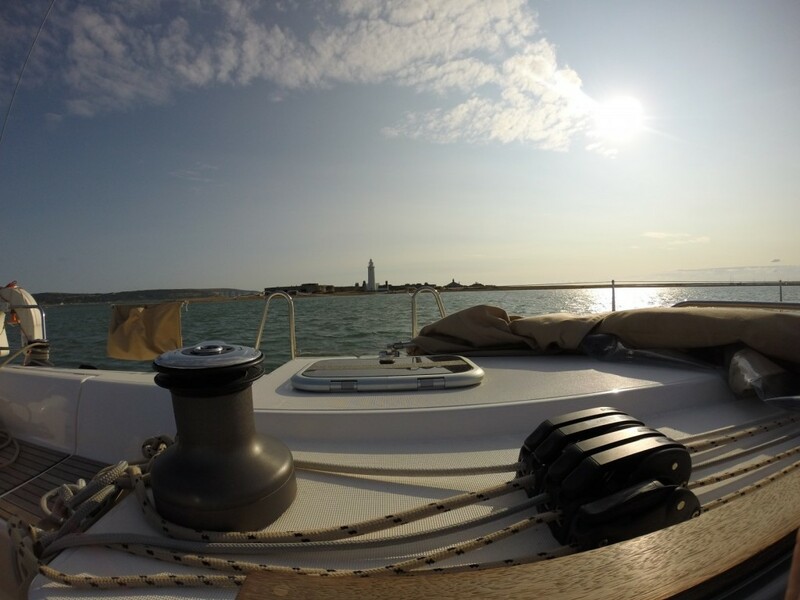 Why not send us your photos of your adventure on this beautiful yacht and we will add it to our gallery!